• When: 7 PM Central, 8 PM Eastern Sunday, April 7th, 2019 on CBS. • Where: MGM Grand Garden Arena in Las Vegas. • It’s the ACM Awards, so don’t expect too much actual country. But George Strait and Miranda Lambert are set to perform a medley of classic country songs together that could be interesting. Miranda Lambert is also set to perform her own medley of songs. 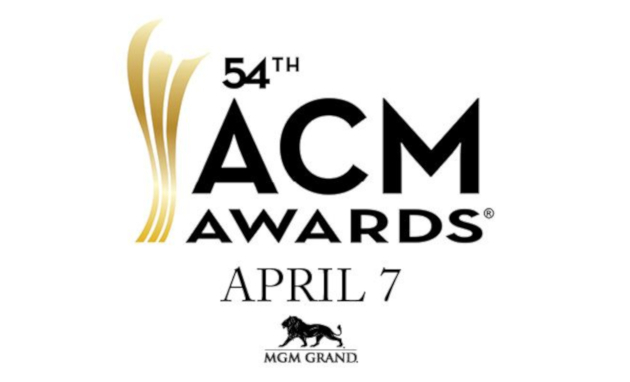 The ACMs love these medlies because they cram more songs into a smaller performance time, but they rarely result in a memorable “moment.” We’ll see if “King” George and Miranda can buck that trend. • Ashley McBryde is performing current single “Girl Goin’ Nowhere” solo. In a night that will be filled with many duets and medley performances, this may be the one that could result in a “moment.” It was McBryde debuting this song on the Grand Ole Opry that really helped command her national attention. It’s currently doing okay at radio, but not great. This could be the moment it receives the jolt it needs. • If Kacey Musgraves wins for Album of the Year, that will give Golden Hour the “Triple Crown,” making Musgraves the 12th artist in country music history to do so. She has to be considered a front runner for Album of the Year going into the night. Her momentum from the Grammy Awards may also make her a more likely candidate for Female Artist of the Year. • With Keith Urban stunning everyone by walking away with the CMA for Entertainer of the Year last November, this makes the award that much more intriguing. Could Keith Urban really win it again? Or will it be Jason Aldean, who is also receiving an Artist of the Decade trophy on the night? Or will it be Chris Stapleton’s turn? It might be Stapleton’s last shot at the distinction for a while, if ever. Musical presenters include Lauren Alaina, Midland, Clint Black, Jesse James Decker, Hunter Hayes, Carly Pearce, Cole Swindell, Lady Antebellum, and Michael Ray. Non musical presenters include race car driver Danica Patrick, actress Beth Behrs of Two Broke Girls, actor Dennis Quaid (who also has a band called Dennis Quaid and the Sharks), Jay Hernandez of CBS’s reboot of Magnum P.I., Entertainment Tonight’s Nancy O’Dell, Wilmer “Fez” Valderrama from That 70’s Show, and actor Nikolaj Coster-Waldau on Black Hawk Down and Game of Thrones. • George Strait and Miranda Lambert will perform a medley of classic country hits being labeled as “ACM Flashbacks.” Lambert will also perform a medley of her hits solo. • Brooks & Dunn will perform “Brand New Man” with Luke Combs off their new Reboot record. UPDATE: It also appears Amanda Shires will also be part of this performance. • This Is Us star Chrissy Metz and Carrie Underwood will perform the song “I’m Standing With You” from the Breakthrough soundtrack with Lauren Alaina, Maddie & Tae, and Mickey Guyton. Carrie Underwood will also perform “Southbound” solo. • Jason Aldean will also perform with Kelly Clarkson, likely a medley of his hits, including “Don’t You Wanna Stay,” which the two recorded together in 2010. • Dierks Bentley is singing “Travelin’ Light” with Brandi Carlile. • Keith Urban is also set to perform. Publishers: Smack Hits/Smack Songs, admin by Kobalt Music Group ltd. (GMR)/Universal Music Works/We Are Creative NBaSmack Hits/Smack Songs, LLC, admin. by Kobalt Music Group Ltd. (GMR); Universal Music Works/We Are Creative Nation/Jake and Mack Music, admin. by Universal Music Works; Warner-Tamerlane Publishing Corp./351 Music (BMI). I am staying far far away from this mess, but I look forward to your always excellent live commentary, Trig. how in hell does Lady A keep getting nominated…? I haven’t heard a song or really anything by or about them in a few years, it seems . who is greasing palms for that attention ? been listening to the new maren morris science-fiction album . what the hell is that stuff ..? it ain’t country …..it ain’t even contemporary pop ……most importantly …it ain’t memorable ..or all that good , IMO . who puts Broken Halos and Meant To Be in the same category ? ( song of the year ) ….one is a real song with substance that resonates long after its over. one is a nursery rhyme . …..what ? I’m either really confused ….or one of the few who isn’t . Happy to see Dierks will be performing “Travlin’ Light” with Brandi Carlile. That was the better songs from his last album and I was hoping it would receive some public attention in the form of a single or award shows performances. I have a bottle of Evan Williams ready to enhance the good parts and make me numb to the bad parts, the latter of which I expect to be plentiful. No more drinking games based around god awful performances or undeserving winners, because I don’t want to be passed out in my chair at 8pm. It’s a shame that Midland, Jon Pardi, and Cody Johnson aren’t performing since they are some of the most traditional artists in mainstream country today. At least King George, Ashley McBride, and Brooks and Dunn are there!!! Padri’s too deep in his album cycle. He’ll have a new one soon. Next year with be Cody Johnson’s coming out party, with the ironic “Best New Artist” nomination. Miranda and George, Ashley McBryde, Brandi with Dierks (I LOVE Travelin Light), Stapleton, Reba, Eric Church, and God’s Country? Actually looks a lot better than I expected. Also Brooks and Dunn with Luke Combs. Ugh on the “Southbound” performance. I get why they are going with it for the third single, but man am I tired of her best songs on every album being ignored in favor of lessor songs for radio. Her cd arguably has a few of the best songs in her career, and songs like “Southbound” are just fillers. It’s fine and relatively inoffensive, but she has much better work that I’d love to hear pushed. Oh well. And even though the Chrissy Metz thing is a little odd, that has the potential to be a pretty cool performance with a lot of talented ladies that otherwise wouldn’t have a spot on stage (except Carrie obviously). Carrie hasn’t announced it as the 3rd single yet, just that she was performing it. I can’t imagine they’d use a prime time ACM slot right before her tour starts for a song that’s not going to be a single or just an impact performance. It would be a beyond wasted opportunity, which is why I’m making that assumption. Don’t take that as me endorsing it as a single; I would take almost every song on the album as a single ahead of it. It doesn’t even feel like it should be on the album, it sticks out like a sore thumb (or as a song put on the album purely for this reason; a fun summer single). One of the few highlights of these awards shows is watching Carrie Underwood rear back on some ballad and send her voice into the rafters. “Southbound” is too rhythmic and simple to see that happen. It’s a party song, which is fine, but reduces the chances of Carrie Underwood having a “moment.” We’ll see. Maybe she’ll doing something unexpected with it. I guess I’m tired of Carrie not taking the next step forward, you know? I rather have songs like Cry Pretty, Low, Spinning Bottles…leaving radio behind and just release solid music. We don’t need Carrie being like one of the guys. Alright I’m going to say it. I’m sick of Kelly Clarkson being shoved in everywhere just because she’s Reba’s daughter in law and she did a duet. Do we really have to watch her twice? I’m sure her “Country” album is already in the can. Kacey has refused to play awards shows in the past even though she was invited because she wanted a full performance slot. Also worth noting, Khalid is getting a full performance spot, and Kane Brown is being listed as performing with him. But she’s nominated for 5 awards. Why wouldn’t they give her a full performance slot? And why wouldn’t they let George sing his new song. Why just the duet? And I agree about Kelly. 2 spots? But as someone pointed out the ACMs are like the MTV awards-they make no sense. well, he is more country than Kane. The ACM’s and CMA’s were never about honoring the country music artist or songwriter that brought monies to the record company and radio and spoke to crowds of all shapes and sizes with their songs. It was always two hours of advertising for the bastards on music row that have shut out artists because they are “too country” and putting restrictions on those artists that hope to succeed. Tonight… these artists (some talented, some not) become nothing more but puppets for the con jobs that run music row. You can hate them or you can love them but you can’t help feel sorry for them. I prefer to read the reviews after the show than watch the show. Late Breaking: Look for Amanda Shires playing during the Luke Combs performance. Source: Her daughter Mercy. Is Eric church really going to perform “the snake”? That seems like a terrible choice for an awards show. It was one of the best performances of the night! The outside of the box thinking was genius, and needs to happen more often! I watch, same as I always do…following Tigger’s updates. But probably will puke when the Aldean tribute starts. And really pissed Kacey isn’t performing. She has more nominations than any other female artist and she isn’t worthy of a full performance spot??? It was my understanding Strait had a solo performance too. From the rehearsals I thought he was performing God & Country Music. He very well might. Performance information is being part and pieced from various sources. All we know for sure is the list of performers. Rodney Atkins for the most annoying chart run ever (“Caught Up In The Country” – #22 with a bullet after 51 weeks & there is no end in sight). Jordan Davis for not falling over his own beard. Maren Morris for shaking what god gave her. Alan Jackson for leaving his seat when Jason Aldean will grab the decade-award. LoTrash for taking a bath for the first time in many years. Dan & his Shay for being all butch & stuff. Morgan Evans for becoming Mr. Kelsea Ballerini. So…no reason to watch the bs & the important awards are already handed out. Thanks for the laugh. So far, you win this discussion. It’s not quite the same this time around (Ashley McBryde is already deservedly generating her own momentum) but he once again shows excellent taste in duet partners. Ashley McBryde could have a big night. It’s more rap, pop and completely annoying to me. The best act was Brooks and Dunn. I was very disappointed with the rest of the show!